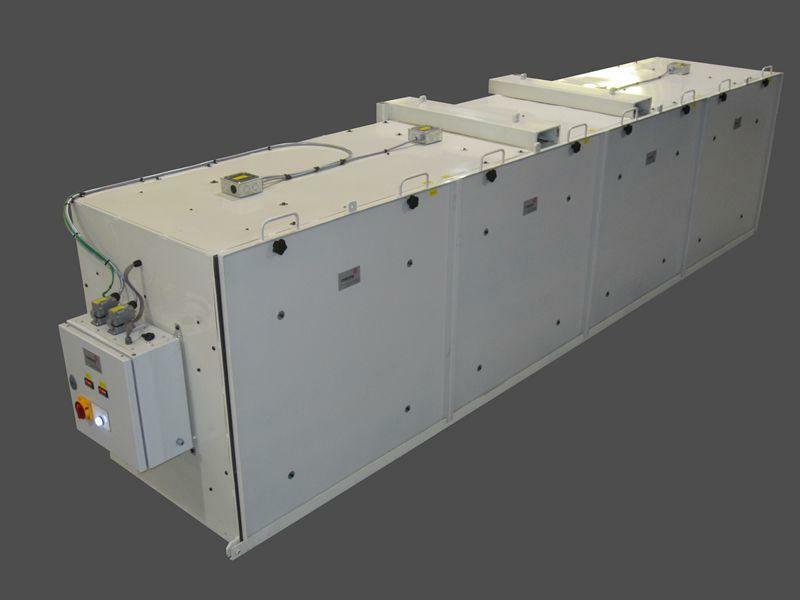 The Heater Enclosure is designed to provide a facility in which high ambient working temperatures can be simulated in order to test equipment destined for use in warm climates (70°C Maximum). 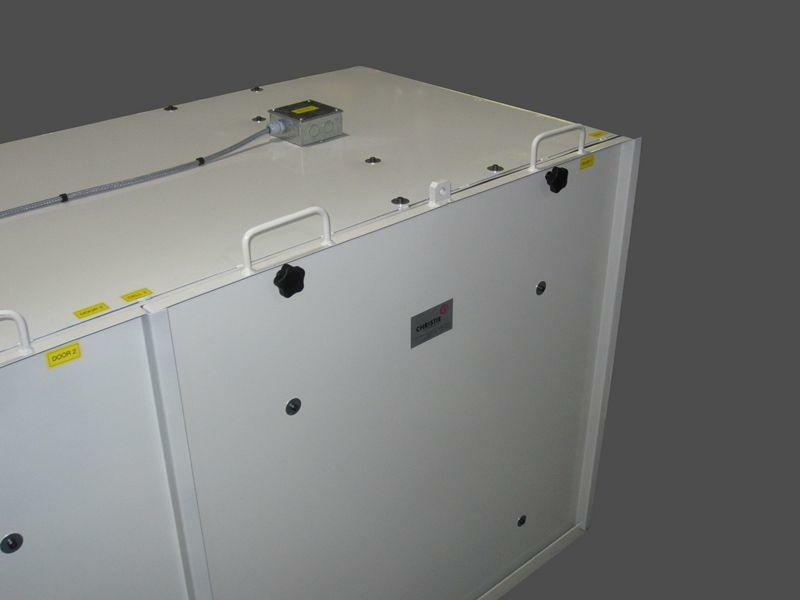 The system consists of a 4.2m long insulated enclosure with four 1kw electric-ceramic heaters. 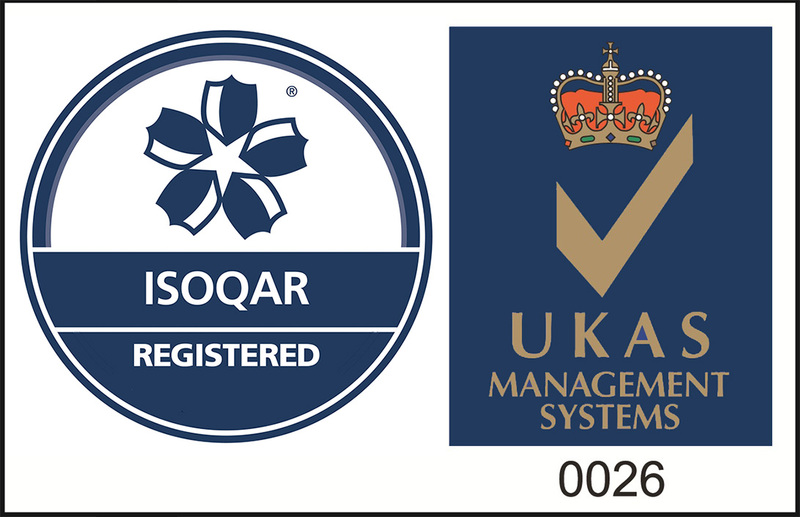 Heat distribution is managed with a pair of fans convecting heated air along ducting encapsulating the heaters. The enclosure is divided into two cells, each cell having two heaters and one thermocouple. The thermocouples feedback to temperature controllers which in turn switch the heaters on and off to maintain stable temperature between set points. 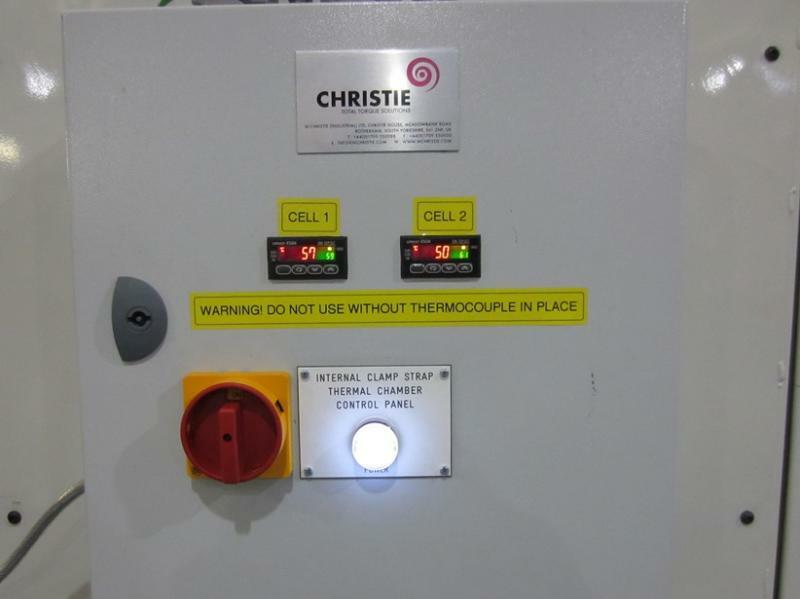 W. Christie can manufacture and supply similar systems to suit your particular requirements.